Which GE Refrigerator style do you have? General Electric (GE) formed over 100 years ago out of the brilliant mind of Thomas Edison. Today, GE is a multinational corporation with many prestigious accolades including top rankings in the Fortune 500 as one of the largest and most profitable firms in the world. Fortune also ranks it near the top for Leaders and Best Brand. Today, General Electric is as relevant and the products are as innovative and they were then. Imagining, designing and creating a broad range of household products such as small electronics and appliances, to major kitchen appliances, air conditioners, washer and dryers to home water filtration needs; GE 's focus on technology and creativity remains a company priority. GE water filters install easily and produce great quality water and ice from your refrigerator. 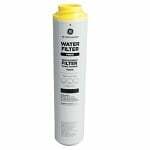 GE refrigerator filters will remove chlorine taste and odor from your water. 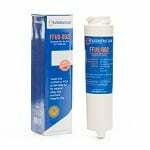 Replace your GE refrigerator filter cartridges every 6 months. 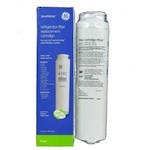 The PureH2O PH21100 is the correct refrigerator water filter replacement for GE MWF and the EcoAqua EFF-6007A. 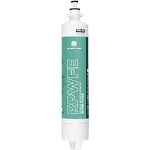 The GE RPWFE replacement refrigerator water filter features advanced filtration technology that is tested and verified to remove trace pharmaceuticals from water supplies. GE's SmartWater MWF Refrigerator water filters fit all GE and Hotpoint Refrigerators and replaces old part numbers GWF, GWF01 (Smart Water), GWF06 and Hotpoint part # HWF. This is the new and improved filter to replace GWF, MWF, MWFA, MWFAP. The PureH2O Replacement for ClearChoice CLCH102 is the PureH2O PH21100. 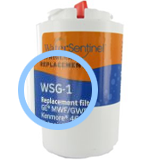 The Water Sentinel WSG-3 Refrigerator Water Filter is a replacement water filter, replacing the GE MSWF. 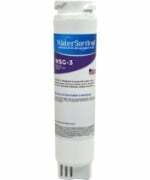 The WSG-3 water filter will remove or reduce chlorine tastes, and odors that can be present in your drinking water. 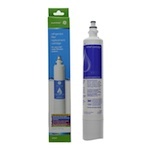 The PureH2O PH21110 is the compatible replacement water filter for the Water Sentinel WF298. The GE XWF Refrigerator Water Filter is certified to reduce chloramines, chlorine taste and odor, for better tasting water and ice from your refrigerator water source. FQSLF Dual stage replacement filters fit in the following GE Systems: GXSL55F, GQSL55F, GQSV55F. Reduces mercury, lead, cysts, chlorine taste & odor, asbestos, turbidity, sediment, rust and more. 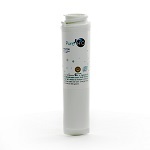 The PureH2O PH21100 Replacement For GE MWFINT Filter will reduce contaminants from your water. 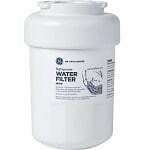 The GE RPWF replacement water filter helps to filter chlorine taste and odors for clean, delicious tasting water. 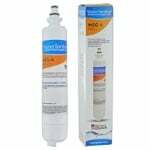 GE MXRC replaces refrigerator water filter models MXRC, FXRC, FXRT, HXRT, 9905, and 46-9905. 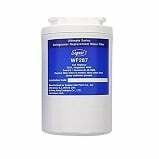 The GE MSWF Refrigerator Filter is the newest interior refrigerator filter from GE. 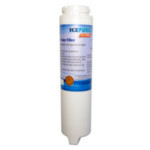 This filter provides cleaner, clearer water and ice and is easy to install. Features a twist & lock design. 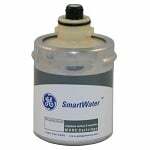 GE GXRLQR Smartwater water filter is the refill filter for GXRLQ, GX1S50F and GQ1S50F systems. It is suitable for Smartwater single stage filtration and exterior refrigerator icemaker systems. 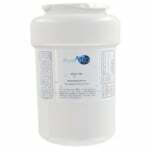 The PureH2O PH21100 Replacemet for GE MWFA fits many GE and Hotpoint Refrigerators with water filters. 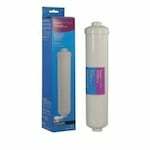 GE SmartWater GSWF Filter fits the newest GE refrigerators including model numbers GTS18KHP, GTS18SHP, GTS22KHP, GTS22SHP, PTS22LHP, PTS22SHP, PTS25LHP, PTS25SHP, PDS20MCP, PDS20SCP, PDS22MCP, PDS22SCP. 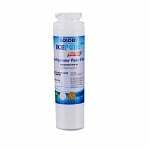 The IcePure RWF1500A is the compatible replacement for the EcoAqua EFF-6022A Refrigerator Filter. 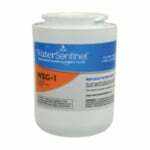 The Water Sentinel WSI-2 is the compatible replacement for the GE GXRTDR. You deserve something extraordinary in the form of the IcePure RWF3000A compatible coconut carbon refrigerator water filter that makes water look and taste better while also being a money-saving alternative to the GE GSWF and EcoAqua EFF-6023A.